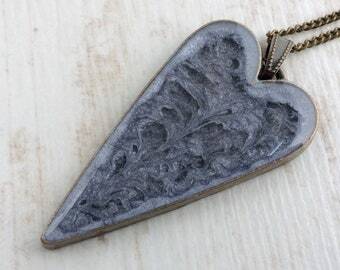 Check this out for a statement piece! 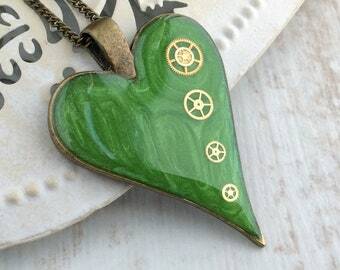 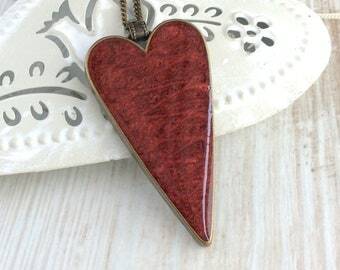 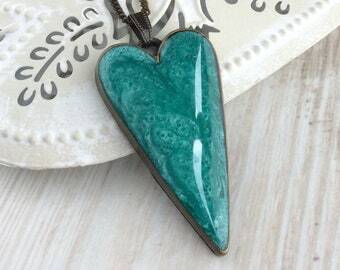 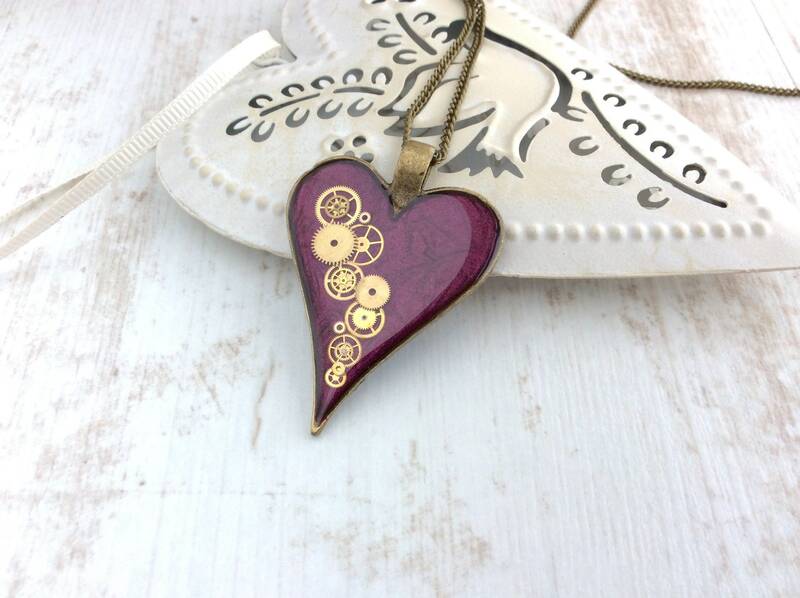 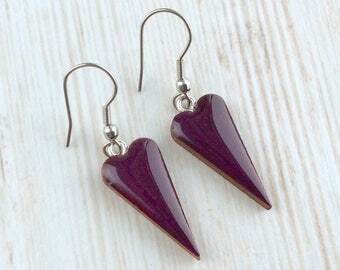 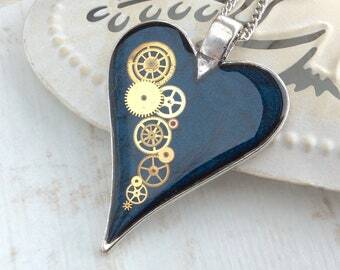 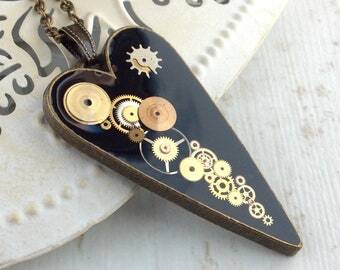 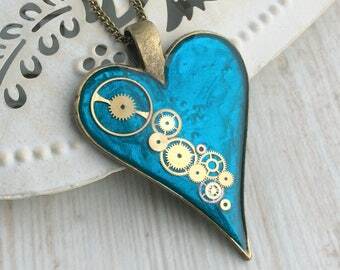 This stunning heart pendant has been back-filled with a shimmery purple paint before having recycled watch parts carefully placed in a very aesthetically pleasing style. 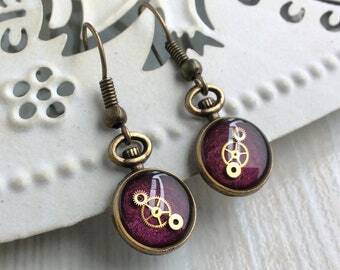 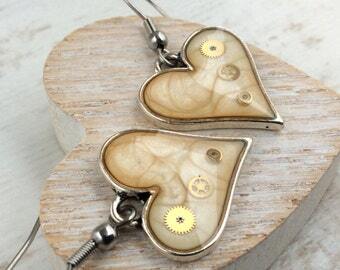 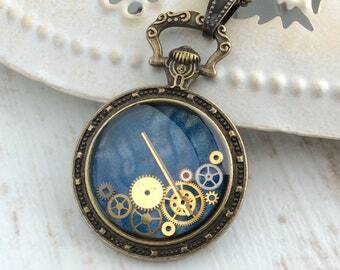 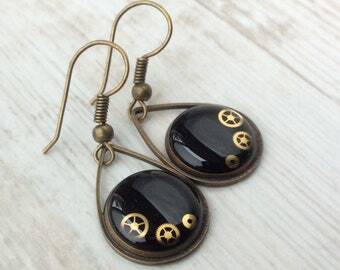 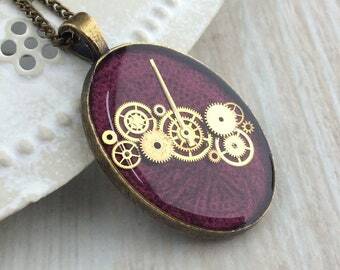 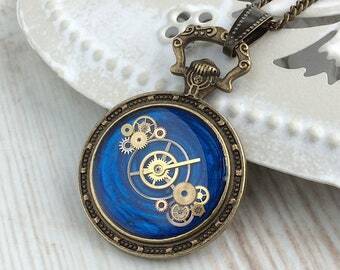 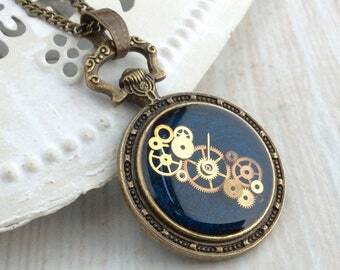 Sealed with a crystal clear resin to allow the cogs and gears to reflect the light for your unique piece of bling. 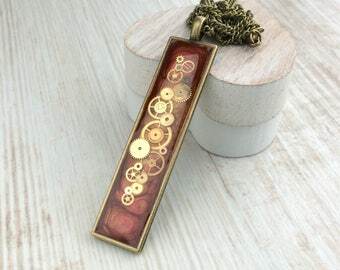 Finished with a bronze plated curb chain. 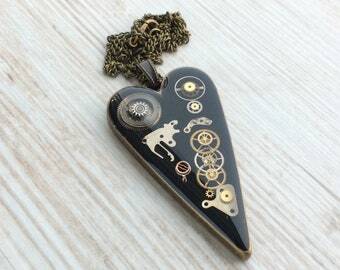 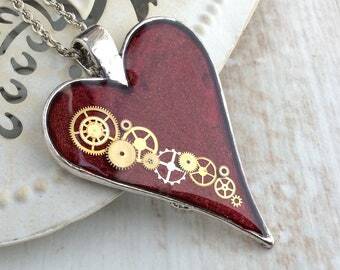 Every one will be unique as each heart is filled with different watch workings.